Anita Klasanova is a creative entrepreneur with a passion for building authentic brands and community around them. She is the visionary, brand and recipe creator behind the award-winning desserts Roobar and Kookie Cat cookies. 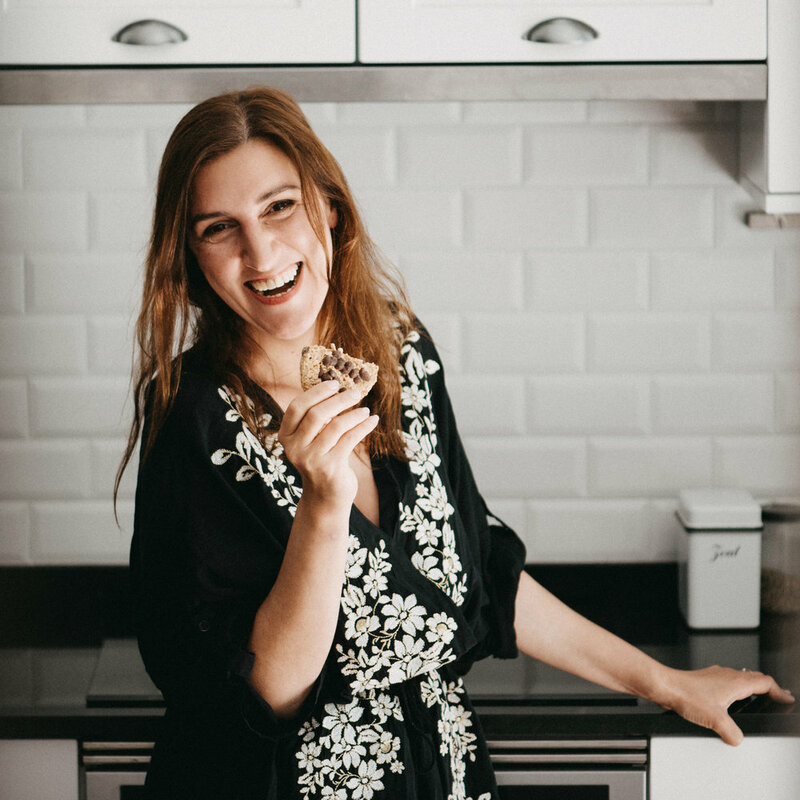 Her journey started as a graphic designer, then switched to food creator, which initiated the health food movement in Bulgaria in 2006. Her business started in a tiny, family-owned store offering healthy foods. Realizing she could make a significant impact on her own and people's eating habits, she began to develop healthy and delicious desserts. Her recipes became extremely popular. So much so that it was time to look at developing a business from her passion. For the last six years, she built up a company - an innovation platform with a dedicated team of 90, and products reaching over 50 countries on six continents. Recognized as one of the innovators in Europe by FT and Google's NewEurope100, and part of EY Winning Women, she is a trendsetter in the food industry and the female founders startup scene. Anita exited the company in 2018 and launched Food by Anita - digital space for creatives and entrepreneurs. Anita is excited to share the magic, mistakes, know-how of building authentic brands that people will love (forever). Workshop Summary: The workshop starts with the inspiring story of Anita and the brands she created. While sampling the ingredients, she'll talk about the essential attributes of an authentic brand, and then mix it up with what you (or your company) stands for - your purpose. It's an interactive session, where all the participants get to know each other and brainstorm around the topic. What you'll do: Mix your own raw cookie dough magic jar with organic plant-based ingredients. Unique ready to eat dessert made by yourself. What you'll learn: During this workshop attendees will learn about the path of Anita's outstanding brands and how to build your brand with passion, purpose and make it grow organically worldwide. What you'll take away: Find out what do you stand for and include your customers along the journey.